You are at:Home»All News»The spiritual world is here! There is another world than the one we live in. It is transcendental and is not subjected to the material influences of our world. There, Lord Brahma operates on a different time scale to ours where one of his days includes thousands of cycles of the four yugas – even one cycle of which in our world is considered to be a very long period of time. In fact, kali yuga does not even manifest in such higher regions of the universe. It is said that in the heavenly planets, there is always an atmosphere of treta yuga, however Lord Brahma’s abode is called satyaloka where there is a fully transcendental atmosphere. It is so transcendental that there is no varnashrama and all its citizens are of one caste – transcendentalists. So how insignificant are all the events that are taking place in our world!? How minute are they compared to the events of the spiritual world. Back when Srila Bhaktisiddhanta Sarasvati Thakura was publishing newspapers, magazines and periodicals about the spiritual reality, he was asked by someone, “How can you publish papers about such a world all the time?” He responded that if newspapers can report about what is happening in one town or city, then why would we not report on the entire spiritual world! This is because the material world is only ekapadvibhuti (one quarter of the entire realm), whereas the spiritual world is tripatbhutam (three quarters of the total manifestation). So the spiritual world is by far much greater in every way! In that world, more than half of the entire spiritual sky is taken up by Goloka Vrndavana and is therefore much larger than the heavenly planets of Vaikuntha which themselves happen to be much greater than the universes we know here. Yet somehow, the Lord makes the tripatbhutam (three quarters) appear in the ekapadvibhuti (one quarter), something which cannot be understood by our knowledge of physics or mathematics. So how is this possible? There is the story that Narada told about the cobbler and the Brahmana. The cobbler was telling the Brahmana how his Lord could pull an elephant through the eye of a needle. The Brahmana refuted that this was not possible. But the cobbler was persistent and held that his Lord was amazing where he could do such things. He pointed to a banyan tree and to all the seeds that were scattered near the tree and said, “The Lord is so amazing that he can fit a whole banyan tree inside each one of these little seeds. If he can do that, then why can’t he pull an elephant through a needle?” So in this way the cobbler was not blindly believing in the Lord, but had a transcendental vision through which he could witness the Lord’s miracles around him in the material world. Such is a man of great faith. 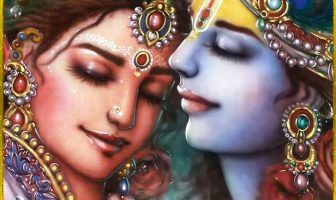 So Krsna has indeed manifested the spiritual world, a much larger dimension, within this material world, a much smaller dimension. 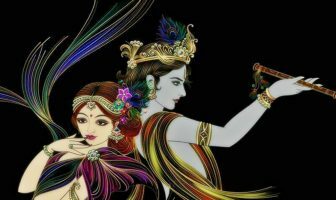 The Lord is constantly manifesting his transcendental potency around us, through his holy name, through Govardhana and so on, and that is amazing! Just want to thank the administrator of this blog for allowing us to discuss the doubt rised here. I also would like to point it out that the comments here are out of order, so it could be confusing for someone to understand this discussion in case they want to read it. Many thanks to Matsya das for clarifying everything so nicely. It would also be nice if maharaj explains it, but I’m not too sure if he writes comments here. Very grateful for having association of the devotees. You are welcome! It is wonderful that you take the time to react. And you had a good discussion point! “So, through Srila Prabhupada’s purports I always understood the word ‘transcendental’ as to be referring to a symptom of the spiritual world only, and that the heavenly planets are still part of the material nature. yes, you have understood correctly, but your application is wrong. the term transcendental, as both Srila Prabhupada and Guru Maharaja have used it in this case, refer to consciousness, and not to the position or any relativity like higher or lower. being transcendental does not mean being away or higher or surpassing, or being superior. well it does, in a sense, because it actually refers to the consciousness of the living entity. it may help better if the meaning of the word material is better understood: it means ILLUSORY. transcendental then means the opposite: that which is real. and reality has been defined in SB 1.1.1 (as opposed to the factual material world). both material/illusory and transcendental exist in consciousness alone. there is no other difference. on the other hand, EXTERNAL or internal (when referring to the Lord’s potencies) have been distinguished as different energies of the Lord. any of the two (speaking simply) can become material, depending on the consciousness – whether contaminated or pure. therefore, as you can see, the term transcendental does refer to the symptom of the spiritual world, as you have put it, but it is never restricted to the spiritual world alone. or as Lord Advaita said to Lord Caitanya, “My Lord, wherever You are – that is Vrindavan”. 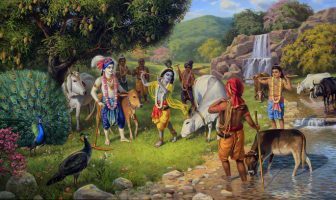 regarding the requested scriptural references, this is something coming between the lines of many verses and sometimes one may even find Srila Prabhupada’s translation and purports misleading, unless one carefully notes down his word for word translations. like BG 7.4 says bhinna prakriti, in 7.14 etam mayam means illusory, but SP says ‘material’. SB 6.19.10 (or somewhere around that verse) points out that the personification of the Lord’s internal potency may become illusory in the eyes of unqualified observer. and there are may more references, like SB 2.9.34 which gives the definition of illusion. Does that mean that it is transcendental only in comparison to our middle world, but not fully transcendental? I just want to make sure I understood it right. If we look at the photo in this link: https://goo.gl/images/pIdd9G which is a diagram of the cosmos, it shows us the hierarchy. If you look at the section of “one universe” which represents one of many material universes, you will see that the first or topmost planet is Brahmaloka. So, Brahma being the creator of the material world is also a part of the material universe. Brahma is also a Jiva Tattva just like all of us but with a higher consciousness. I’m not sure whether I’m allowed to ask questions, but this class raised a big doubt in my head, so I have a question to maharaj. I always read Srila Prabhupada referring to the material world as Lord Brahma at the top and little ants at the bottom. 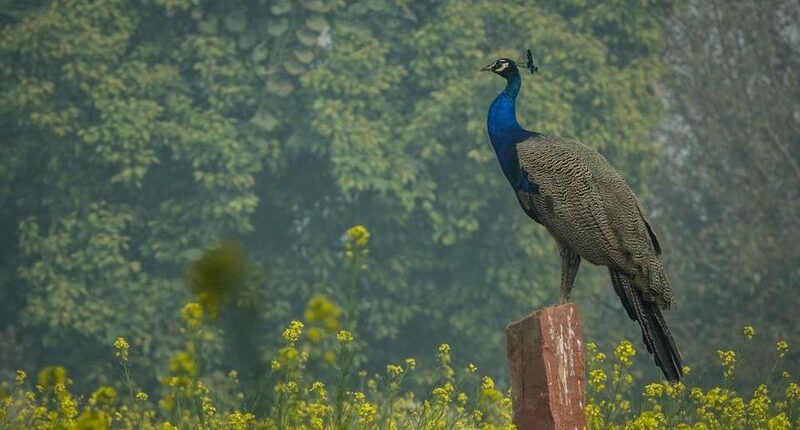 Meaning that Lord Brahma, although the highest demigod of this universe is still under the influence of material nature because he is still part of the material nature, as heavenly planets are not spiritual. So, through Srila Prabhupada’s purports I always understood the word ‘transcendental’ as to be referring to a symptom of the spiritual world only, and that the heavenly planets are still part of the material nature. Did I understand Srila Prabhupada in a wrong way? Can Lord Brahma and his abode still be considered transcendental? Isn’t the material nature still operating in the heavenly planets, including Lord Brahma’s abode? Sorry my ignorance, but I’m just a student on my beginning stage of learning, so I thought I should try to clarify my doubts before I get more confused. All glories to Kadamba Kanana Swami! Natacha, i have forwarded your inquiry to Kadamba Kanana Swami. Of course you can ask questions. That is highly needed and a sign of mindful intelligence. I will also put this question on our FB page to see what other scholars are saying about it. In the material universe not even Brahmā is free from the process of birth, old age, disease and death. Brahmā, however, is directly engaged in the service of the Supreme Lord in the management of this universe—therefore he at once attains liberation. Elevated sannyāsīs are promoted to Brahmā’s particular planet, Brahmaloka, which is the highest planet in the material universe and which survives all the heavenly planets in the upper strata of the planetary system, but in due course Brahmā and all the inhabitants of Brahmaloka are subject to death, according to the law of material nature. Does that mean Lord Brahma’s abode is more transcendental only compared to our world, but not necessarily fully transcendental?